Just got my head in to the PC again and found some good floating content from my mates in TID Romania. 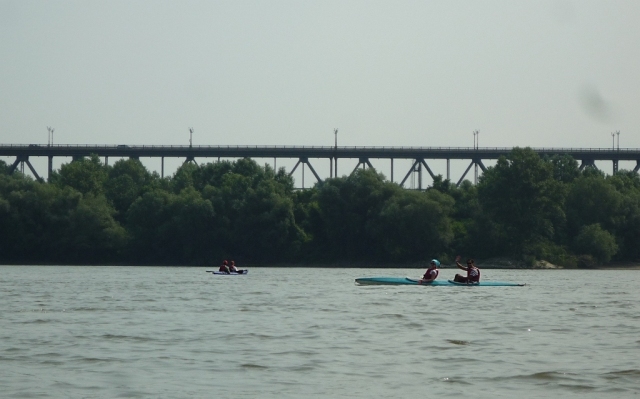 This weekend on the 30th of June to the 1st of July was definitely different for us, EVS (European Voluntary Service) volunteers at Dunare.EDU in Oltenita, Romania as we had a great chance to travel from Giurgiu to Oltenita by kayaks and boats along the Danube River. The two-day trip was brilliantly organized by Asociația TID România and the whole team was friendly andhelpful. We felt safe and comfortable in a relaxed and positive atmosphere. We were provided with all the equipment, great food- I enjoyed ciorba de peste and barbecue! Thank you, guys! the rest via Charming Danube by Anastasia Moskvina | TID Romania.